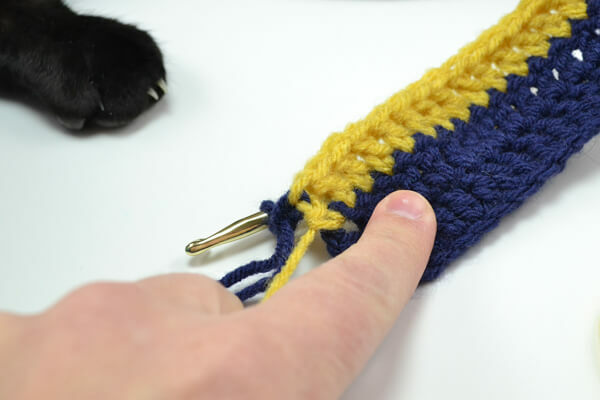 Last week I showed you how to weave in ends as a part of sharing the basics of crochet with you. And since I get emails about it regularly, it seemed a good a time as any to also show you how to change colors. First off, gonna come clean. 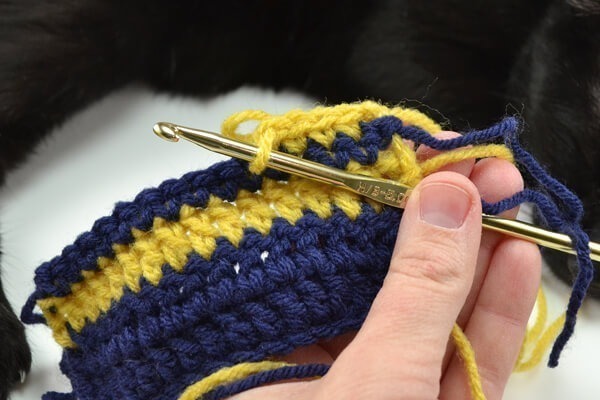 On my row of yellow double crochets I somehow messed up the last in the row (you’ll see what I’m talking about). But since I had already photographed, edited and written up the post before I noticed, it’s gonna stay that way! So, yes, I know I made a mistake and no, it’s not the end of the world! 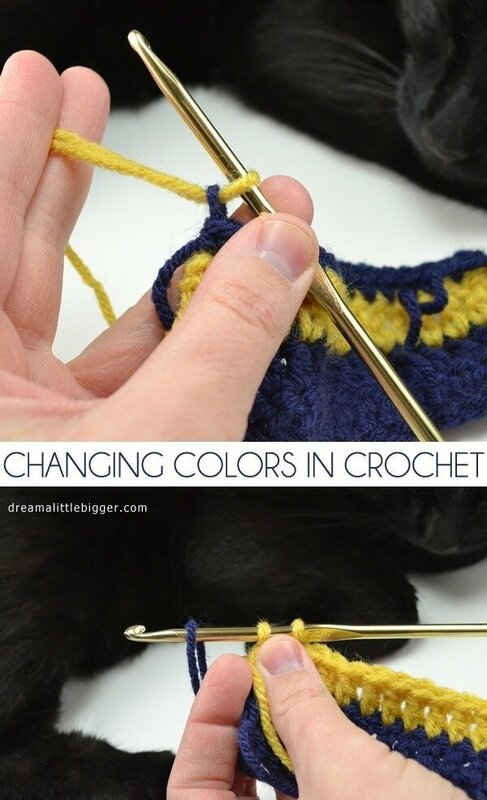 The basics for changing colors are exactly the same, anyway! Now when you change colors the way that I do (not sure how everybody else does it, really) you’ll have ends you’ll need to weave in once complete. So be sure to check that post out, too if you’re not too sure on how to get rid of all of those tails! 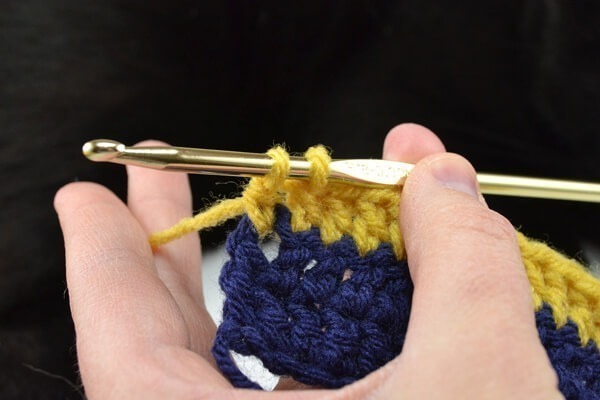 First go down your row just as usual but when you get to that last double crochet, stop before you take off the last two loops on your hook. 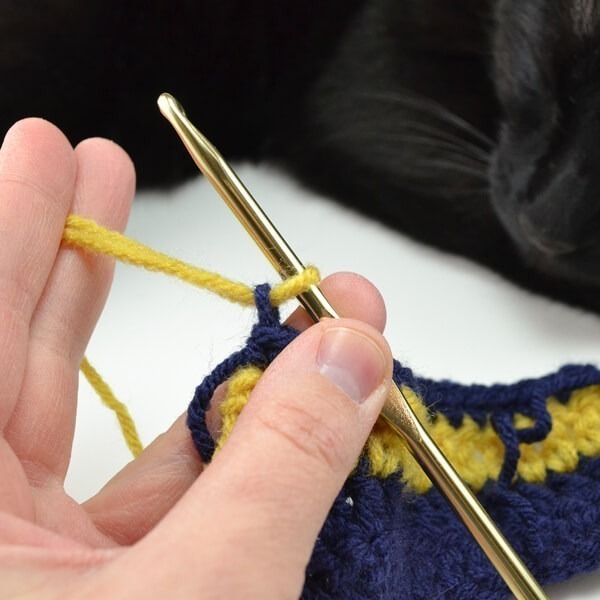 Cut the current yarn a good 4-8 inches away from your hook. 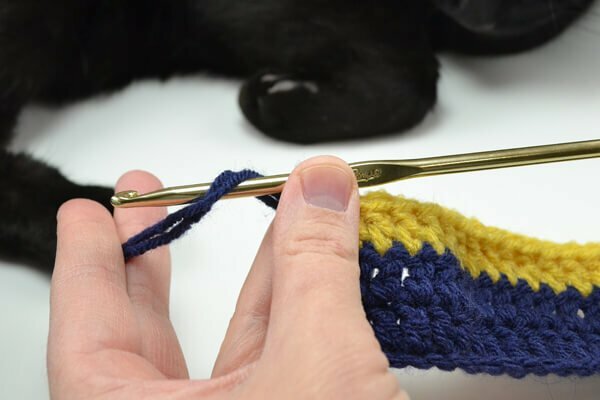 The length really depends on the size of the tail you’re comfortable working with. I like long tails. 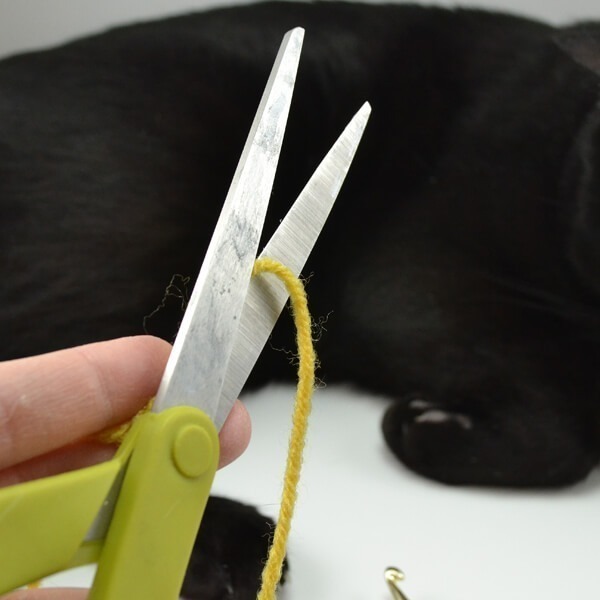 Take your new color and make an upside down “U” shape making sure to have 4-8 inches from the cut end at the middle for your next tail. 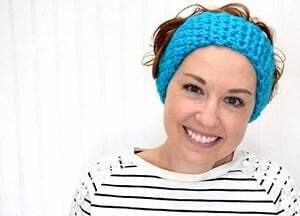 and pull through just like you would if you were still working with your first color. The new color is in BUT it looks messy. Grab the tail from the previous color and pull nice and taut. You may need to do this again just before you weave in your ends. 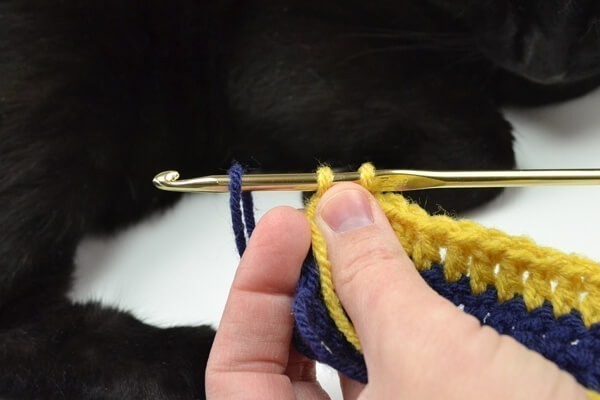 For your first chain to start the new row, yarn over BOTH the yarn as it comes from the ball and the tail. 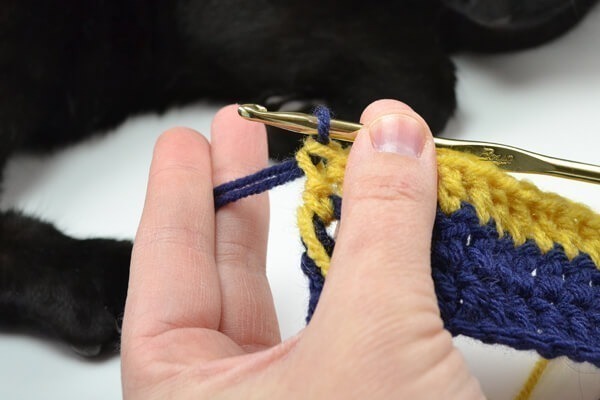 On single crochets you don’t have those two loops to take off. Instead run down the length with singles as you normally would. Once you get to the end, loop your new color in the “U” shape and pull through the current loop of from the previous row of singles. 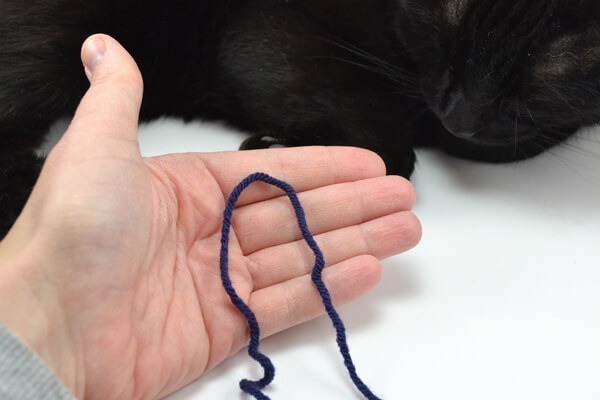 Make your first chain with both the yarn from the ball and the tail for that first chain. Pull your the tail from the previous color taut. And continue on your merry little way and change colors to your heart’s content!